After the battle with Cell, Son Gohan (AKA Sun Wufan) grew into a kind young man and a brilliant scholar, happily married to his high school sweetheart Videl Satan (the daughter of Mr. Satan), with a young daughter named Pan. Even though he does not train with the same fervor and passion as Goku and Vegeta, his hidden potential (after being released by the Elder Supreme Kai) still remains; when it comes to blows, Gohan can still fight with the best of them. In Dragon Ball FighterZ, the adult version of Gohan plays similarly to his younger counterpart, but with one unique distinction: Gohan's Potential Unleashed increases his power up to seven levels. With each level of his potential unlocked, Gohan's hitstrings and special moves become more powerful, allowing him to execute even more damaging combos. When Potential Unleashed is used, Gohan levels up, giving him improved abilities and damage. Gohan always begins every match at level 0, and can gain up to 7 levels. Extremely well-rounded; has good projectiles, solid ranged normals and powerful pressure/mixup game which overall give him solid neutral. Potential Unleashed provides him with several benefits, including adding more hits to his special moves, modifying his auto combos, and granting him the ability to break the Z Combo chain (Reverse Beat). For a power-up type of character, Adult Gohan starts off surprisingly competent with most of his tools already unlocked, making his power-up optional to get an exceptional character. One of the few characters to have a meterless reversal. Fastfalling creates excellent mixups/cross-ups that can open up and punish opponents easily, as well as controlling his aerial momentum. Extremely solid blockstrings and mixups, both with and without assists, thanks to j.2S, j.236X, 214X, his low-hitting 5L (fastest low in the game at 6 frames), and pressure resetting normals in 2L and 5LLLL. Only character to have a ground launcher that is considered an anti-air yet does not use Smash property in 3H. Grounded ki blast beats super dashes with his Masenko being an excellent fullscreen beam projectile. Midscreen he has above average damage at level 0, arguably the best damage in the game leveled up, and in the corner has the best damage in the game with j.236X loops. Can dump meter all at once to level up Potential Unleashed anywhere from 1 to 7. Each bar spent increases the super's damage, making it a useful finisher. Without level 1, he does not have access to some of his strongest tools. Leaving level 0 makes his Machine Gun Kick's pressure less consistent and prevents his Light Ultimate Back Attack from connecting after a vanish. Does not have a good way to win neutral through the air aside from his j.M. Level 7 is extremely costly to obtain and all investments into it are lost when Gohan goes down (though he will still have his levels when revived by Shenron). Shortest-ranged Lvl. 1 super in the game, which is also among the lowest damaging. The charge version's increased damage is very meter inefficient, doing less than most level 3 supers after using 7 bars. Gohan's supers are too expensive for the little utility they provide. Assist is somewhat difficult to utilize thanks to its poor range and hitstun. Long whiff recovery on some moves, thus he must commit to some of his options especially on block. Extremely technical, as many of his combos and block strings require tight execution. Jump cancelable on hit on either hit. The first hit is a standing low, the second hits mid. Both attacks will always come out when 5L is pressed. Two-hit sequence consisting of a quick stomp and a high punch. 5L is basically the cornerstone of what makes Gohan's offense so scary: a nearly unseeable standing low that goes hand in hand with his fast airdash and fastfall to create strong mixups and pressure. One of the advantages of having two hits built into 5L is being able to easily confirm whether the opponent gets hit or is still blocking. With certain assists, Gohan has time to go for multiple high/low mixup attempts, but only if you can quickly confirm whether or not the opponent blocked. The first hit of 5L is fast enough that Gohan can combo directly from 2L into the second hit of 5L in situations where the stomp will miss. This speed in essential to Gohan's corner Leg Loops, giving him much greater corner damage than most of the cast. Can be canceled into from 5L on whiff. Jump cancelable on any hit. Equivalent to a non-charged 3L, which becomes a unique normal at Level 1. Level 7: If 5M has already been used in a string, autocombo reverts back to level 0 version. Gohan punches 4 times in rapid succession. Actually does more damage and has better scaling than uncharged 3L, the command normal it becomes after Gohan reaches level 1 of Potential Unleashed. While normally unavailable after reaching level 1, if a level 7 Gohan uses 5M in a string, then this move becomes 5LL again for the duration of that string. As 5LL and 3L are considered separate moves, they can both be preformed within the same string. Can be canceled into from 5LL on whiff. Uses up Gohan's Smash. Always results in a Smash, even if it has already been used. If Gohan's Smash has been used, then this move is used to end grounded Dragon Rushes. Only hit of the grounded auto combo needed for the air auto combo to produce a random Dragon Ball. Pressing Light Attack afterwards on hit will initiate a Super Dash. When all other characters are down, this move is Gohan's Guard Cancel attack. Gohan does a jump kick that launches opponents. Thanks to how Gohan's autocombo works and changes with his levels, this move is rarely used. It is almost impossible to combo into after a vanish, leads into less damage than Gohan's basic combo routes, and doesn't lead into any mix-ups. That is unless Gohan is at level 7, in which case this move can reverse beat into any move Gohan hasn't used yet in that string, which includes the neutral on block 2L. 5LLL can be used in combos starting from better scaling normals, such as 5M, making this move's unique smash properties much more valuable. Combo and block string filler. Leg loop tool in the corner, launcher mid-screen. "Gee Gohan, why does Toriyama let you have two pressure reset normals?" Actually kinda scary at level 7. Level 7: If 5LL has been used, 5M cannot be used in the same string. Does less damage and has worse scaling than the move it copies. It cannot continue through the medium autocombo like 5M can. Unlike the rest of Gohan's auto combo variants, this version of 5M doesn't do anything that the original version couldn't do, so this move should only be used as a stepping stone for 5LLL and 5LLLL. Level 7: If 3H has already been used in a string, this attack will not come out and the autocombo ends at 5LL. Level 7: If 5LLL has been used, 3H cannot be used in the same string. This version of Gohan's 3H doesn't lift opponents as high, does less damage, and has worse scaling than the move it copies. 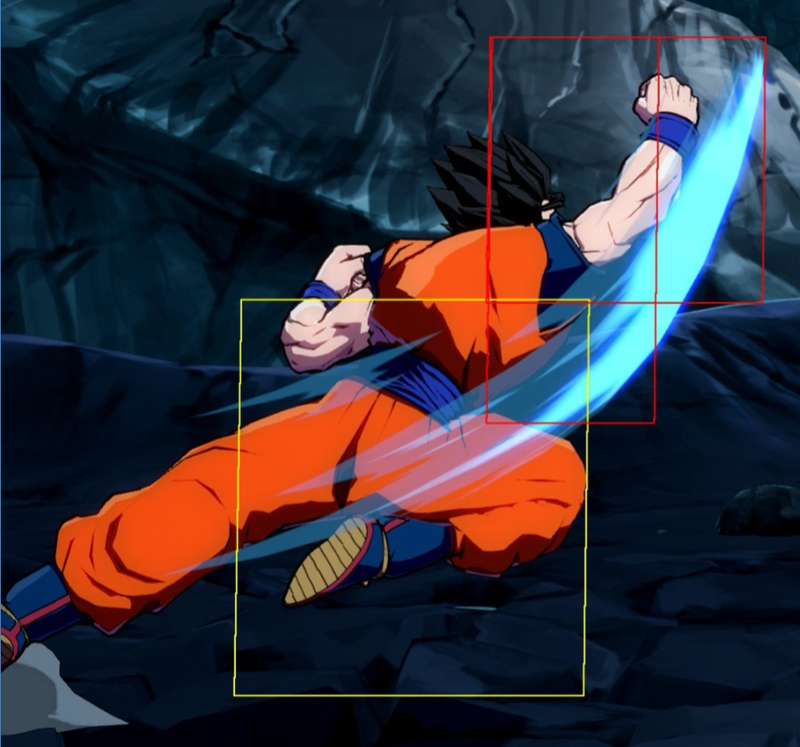 Jump canceling this move into j.236M allows Gohan to connect the first hit of his 5L to go into his corner Leg Loops without using up his Smash, on top of being less character specific than his other setups. Mid-screen, Gohan can go from j.236M into 5M to 3H for an air combo. These combos are stronger at level 7 thanks to being able to start the auto combo with 3L for better scaling. Can be canceled into from 5LLL on whiff. Can be used to reset pressure due to it retaining 2L's strong frame advantage. Level 7: If 2L has been used, 5LLLL can still be used in the same string. Level 7: If 5LLLL has been used, 2L can still be used in the same string. Does less damage and has worse scaling than the move it copies. Unlike Gohan's other autocombo normals, 5LLLL and 2L can be used in the same string, giving him fantastic pressure capabilities. However, if 5M is used within the same string, then Gohan's autocombo will revert back to its level 0 version, preventing Gohan from using 2L twice. Can be jump canceled on hit while the original 2L cannot. Same properties as Level 0 5LLL. Can be canceled into from 5LLLL on whiff. As this version cannot be used after 5M or 3H and cannot combo properly off 2M and 5H, this version lacks some of the combo opportunities of its level 0 counterpart. Can still be used after 3L for better scaling. At level 7, this move can reverse beat into any move Gohan hasn't used yet in that string, which includes the neutral on block 2L. Gohan's go to combo starter. Gohan does a roundhouse kick that moves forward. Large normal that covers an extraordinary amount of space relative to how fast the startup is. Unlike most of the cast who preserve their 5M to allow jump cancels from 2M, Gohan can use this move much more liberally as 3H is also jump cancelable. Note that at level 7, this move modifies his auto combo. Wall bounces if Gohan still has his Smash. Consumes Gohan's Smash on hit if he still has it. Pressing H again cancels into Superdash. Gohan does a side kick while moving forward. Not used as often as 5M or 2M in neutral as they have similar range, more cancel options, and are safer on whiff. Used in blockstrings to extend pressure, though note that 5H pushes opponents too far to follow-up with 2H into Machine Gun Kicks. 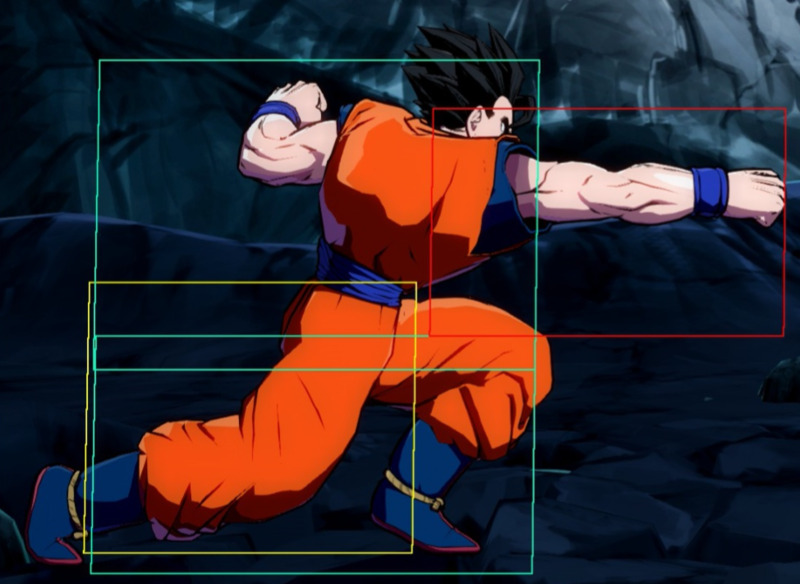 In combos, Gohan uses this move for corner carry mid-screen or for looping (5H > 5S > Masenko > Assist) in the corner. At level 7, Gohan can also use 5H to combo into the level 0 autocombo in the corner, but it cannot grant the Dynamic property. Travels about 80-90% of the screen. Instead of a standard ki blast, Gohan thrusts his hand forward to shoot an invisible blast that knocks opponents backwards. It doesn't go completely full screen, it can't be repeated into itself, and it whiffs against crouchers. While it doesn't see much use in mid-screen combos thanks to its strong knockback, its unusually high damage and good scaling for a ki blast makes it a great tool for corner combos. Unlike other ki blasts, Gohan's 5S can stop super dashes. Throwing out a quick 5S defensively at certain ranges can be useful to stand your ground and interrupt approaches. Unlike all the other normals used in Gohan's unleashed autocombo, 2L doesn't modify it if it is used before or after the autocombo. Gohan jabs while crouching. Far reaching for a relatively low-commitment light attack that lacks an extended hurtbox. Its frame advantage also encourages strong stagger pressure with 5L and 2L. The true potential of this move is reached at level 7, where he can use this move at anytime, including very late into a blockstring. 2L also can still be used after it's autocombo version and vice versa, giving Gohan the ability to reset pressure twice within a string, meaning Gohan can easily lock down opponents without assists. In combos, while this move has better scaling then 5L, it is still a light attack so it will hurt a combo's overall damage and metergain. Gohan slides forward, hitting low. Its long range makes it a great move to throw out during neutral, made even better by the fact that it is one of his best scaling combo starters and has many cancel options on block. Its sweep property makes it ideal for extending combos after vanish, such as (2M > 5M > 3H) mid-screen and (2M > 5M > 5S > 3H) in the corner. Puts Gohan into an airborne state, so it can cancel into Machine Gun Kick but not into Masenko. Has extended hitstun if Gohan still has his Smash. Consumes Gohan's Smash if he still has it. Gohan does a leaping kick. Universal anti-air that makes Gohan airborne, making it vital for going into Machine Gun Kick pressure. If this move used up his Smash, then Gohan can combo j.2H into Light Ultimate Back Attack for a knockdown mid-screen, something he needs to end combos with a super without the help of assists. Jump back air fireball, Akuma style. Cancels into specials or j.2S on hit or block. Projectile renders on frame 13, and will continue to exist until it hits the opponent or ground. Gohan pulls back as he fires a ki blast. Grounded version of Gohan's j.S ki blast. Can be a useful blockstring ender, as the backwards movement can allow Gohan to disengage and return to neutral. Has very little endlag, which allows Gohan to 2H through the opponent's Superdash if they try to plow through his 2S. If 2S hits, Gohan can connect a Masenko if he does it as soon as he touches the ground. The angle of the projectile makes it easy to whiff, so use it carefully. At Level 1 Potential Unleashed, 2S can cancel into L backfist for a meterless combo and knockdown. Uses the same animation and hitbox/hurtbox as j.H. Due to how Gohan's pressure works, a surprisingly large amount of people will get opened up with the universal overhead as they expect longer blockstrings. Although it's far from his best mixup, it's good to use it from time to time. Note that Gohan requires assists or Sparking Blast to confirm 6M into a combo. Available at Level 1 Potential Unleashed. Holding L adds extra hits. Each consecutive hit is 1 frame active and 2 frames recovery before the next. A rush of punches in front of Gohan that moves him forward, allowing him to stay close during pressure. Used in strings to provide extra blockstun, covering assist calls or stalling for time to regain assists. As a meaty, holding for extra duration can help cover a delayed wakeup or a back tech, but beware of reversals. Useful as an additional medium in combos though careless use of all the hits can greatly scale your combos and allow opponents to tech out of them. Counts as a separate move from level 0 5LL, so at level 7 Gohan can use both in the same string. Starting a combo with this move allows Gohan to use his autocombo with much better scaling. Gohan does an upward kick that moves him forward slightly. Used to start air combos while preserving Gohan's Smash. Allows him to use 5M freely during neutral and blockstrings as he doesn't need to use it to convert into air combos. Can also be used as a low commitment, high reward anti-air, though it can be difficult to time and react to a successful hit. Gohan punches below himself. Deceptively large hitbox that can be used to control aerial space outside of j.M's most effective ranges, also used to setup for fuzzies. Can Reverse Beat into j.L. Autocombo version tracks the opponents position, allowing for unique combo extensions. Gohan does a spin kick. Great air-to-air normal that can be used after a blocked H Machinegun Kick to mix your opponent up. Knock down properties change depending on how Gohan used his Smash. Can be cancelled into j.2S fastfall on hit, giving Gohan extra time to set-up. Dynamic property version wall bounces in the corner. Gohan kicks down diagonally. This move sends the opponent flying sideways, which can make it difficult to connect Potential Unleashed when away from the corner, though it does provide large amounts of corner carry. Canceling into j.2S gives Gohan access to multiple safe jump set ups. As Gohan cannot combo j.2H into Light Ultimate Back Attack at level 0 nor can he do so when his combo has scaled too much, this move still has uses in mid-screen combos. Gohan jumps back as he fires a ki blast. Can be a useful string ender. Approaching with an instant airdash j.S can cause anti-airs to whiff. The backwards movement can also create tricky situations, but is likely to whiff and leave Gohan vulnerable. In the corner, j.S can combo into Ultimate Back Attack. At level 1 this combo works anywhere on the screen. Smash version launches higher with more hitstun. Gohan knocks the opponent further up into the air. Can combo into superdash if he hasn't used both it and his Smash in that string. At Level 1 Potential Unleashed, j.2H can combo into all versions of Ultimate Back Attack as a combo ender if he hasn't used his Smash. After his Smash has been used, j.2H only combos into the light version, though it may not connect if the combo has scaled too much. Use at the end of air combos to hit the ground sooner and have extra time for set-ups. As a unique movement option, it can also be situationally useful in neutral. Allows for strong pressure options when used in conjunction with his standing low (5L). Cancelling an instant airdash into j.2S creates a basic high/low mix-up, and can also be used to bait the opponent's anti-air. This kind of approach is extremely strong when backed by an assist. His 2S and j.S ki blasts can be cancelled into fastfall on hit/block. May or may not be his original move he used on Cell, but still it's even better. Shoryuken~! Gohan does an uppercut. Rarely used outside of neutral, as he has better tools for blockstrings and combos. 3H is a safer anti-air while 2H is easier to use. available after Potential Unleashed Level 1, caps out at Level 3. Hits twice: Hit Boxes (First). Extra Potential Unleashed hits only apply if the first punch hits and Gohan still has his Smash. Fully invulnerable until the end of the first hit; The first 19 frames of the attack. Gohan steps forward a good distance and throws out a hook punch before doing a rising uppercut. Dedicated reversal used to poke holes in an opponent's pressure. Moves forward twice as far (about half screen) during the first hit when Gohan is at level 1 and above. The added range given to you by the forward step can make it more reliable in some situations though if the opponent is airborne the attack will whiff entirely if done too close. For this reason, it's best to only use this in situations where your opponent is trying to outspace you on the ground. Converts into a combo (albeit a highly scaled one) through the use of a Vanish. Vanish can be used to make this move safe but wary opponents will bait out the Vanish and punish with a 2H. available after Potential Unleashed Level 1, caps out at Level 7. Fully invulnerable until the end of the first hit; The first 12 frames of the attack. Mostly identical to the medium version but faster, more damaging, and hits more times. At level 7, this move can lead into huge damage if used very early into a combo started by 5M, 2M, 3L, or level 0 5LL by canceling into vanish just as the last hit connects. 2H on the ground cancels directly into any Machine Gun Kick. Hold L to kick indefinitely until landing. Minimum 3 kicks. L Machine Gun Kick carries Gohan's momentum when performed after a forwards or backwards jump or airdash. If done from a neutral jump, Gohan remains in place. Performing a Machine Gun Kick and holding down L during an airdash allows Gohan to quickly cover lots of ground while attacking. This version of Machine Gun Kick can be looped in the corner from certain starters 2-3 times for a massive amount of damage, boosting Gohan's already massive damage potential. Hold M to kick indefinitely until landing. Minimum 3 kicks. Moves Gohan forward, holding 4 and 6 can shorten or lengthen the distance respectively. Level 1: Control over the distance traveled increases. Unlike L Machine Gun Kick, the M version does not carry Gohan's air momentum, and will always move him forward slightly, even when performed after backwards movement or a neutral jump. is after Potential Unleashed level 1. Does a fixed number of hits and damage. Like M Machine Gun Kick, the H version does not carry momentum and always moves Gohan forward. On block or hit, Gohan does not descend during H Machine Gun Kick. This allows him to preserve his height and easily followup with something like an airdash (even when cancelled from a grounded 2H). Important: Due to their hitbox, certain small characters can actually duck under the last few kicks of Gohan's j.236H and punish him with 2H for trying to pressure them like this. However, they have to be crouch-blocking or they'll still get hit by the last part of the move. Back to the ground son! Provides a sliding knock down. Level 1: Startup becomes a teleport that tracks the opponent and always hits in front of them. Gohan does a short forward hop, striking beneath him with his elbow. Fast overhead that can be used to avoid lows. With Potential Unleashed, this move can be used to provide a sliding knockdown out the end of most combos, making it Gohan's best tool to combo into his level 1 super without having to be in the corner or using assists. The tracking can allow Gohan to combo into this move from 2S or j.S. At level 0, this move can be comboed into from a vanish, though Dragon Rush is a better choice in this situation. Can cross-up if Gohan leaps over the opponent. Level 1: Startup becomes a teleport that tracks the opponent and always hits behind them. Gohan does a longer ranged forward hop, striking beneath him with his elbow. Slower overhead that crosses up opponents. The Smash versions of 2H and j.2H can combo into this move as can certain assists, though timing is required. Provides a bouncing knock down. Gohan does a very long ranged forward hop, striking beneath him with his elbow. Similar to the medium version but is faster, does more damage, and bounces the opponent, allowing Gohan to extend combos through the use of either assists or a vanish. Why doesn't Piccolo have this beam again? is after Level 1 Potential Unleashed. Level 1: Gains two additional hits. Gohan fires a horizontal beam in front of him. Faster startup, bigger recovery than most beams. Has fantastic synergy with other beams, covering its recovery to allow Gohan to get in. Gains 2 more hits after Potential Unlock level 1 which are added to the end of the move, increasing its hitstun. It still clashes with other beams in the same fashion as its level 0 counterpart. Cannot be angled and can only be used on the ground. Can convert into a combo by doing (Masenko > Vanish > 2M). We all know why he can't have a beam assist. The damage buff from levels 2-6 of Potential Unleashed applies to his assist as well. Identical to Light Jet Uppercut. Gohan warps in and does an uppercut, knocking the opponent upward and leaving them in an airborne situation. Always appears on the ground just barely in front of the point character, which makes it difficult to combo into especially from air combos. This is further compounded by the low hitstun this move provides, so follow-ups must be done quickly or preemptively. In neutral, the move's air invulnerability is useful for stopping jump-ins. Like all assists, it can be used to extend pressure though this requires the point character to compensate for the move's poor horizontal range. Explosion of ki energy around Gohan that launches opponents and powers him up. Has very little recovery. Can stack up to 7 levels of Potential Unleashed. Each level requires 1 Ki gauge. Potential Unleashed bonuses will remain for the rest of the match. Can dump multiple bars of meter for more levels in one install by doing 236H+S and holding the buttons. With the held version, time is stopped for the first 5 levels. If held for longer, time will resume before Gohan finishes. Holding for more than 5 levels renders Gohan fully invincible for the rest of the move. Damage bonus from Potential Unleashed is applied to this super the moment Gohan achieves the next level. E.g. at Level 1 with no damage bonuses yet, this super will do 2% more damage as Gohan reaches Level 2 during the super freeze. This also applies to the held version, going from Lv.0 to Lv.3 will do 2184 (4% more damage), from Lv.3 to Lv.7 will do 2585 (10% more) and so on. Maximum damage this super can do is 3410, going from Lv.0 to Lv.7 (1600+250*6 altogether with the 10% bonus). Minimum damage is 640, +100 per extra bar spent, and is not affected by the damage buff per level. New move: Machine Gun Punch (3L). Jet Uppercut: M and H versions travel further horizontally for the first hit, and deal 1 additional hit. Ultimate Back Attack: Start-up becomes a teleport, follows opponent's position. M and H versions travel further when forward input is held. H version is active for twice as long and deals twice as many hits after locking to the opponent. Masenko: Gains 2 additional hits. Damage increased by 2% per level for all moves. Jet Uppercut: M and H versions deal 1 additional hit per level. Damage increased by 2% per level for all moves (Total Damage increase is 10% at level 6). Jet Uppercut: H version deals 1 additional hit per level. Gohan may chain any normal move into any other normal move, even into lighter strength moves ("Reverse Beat"). Jet Uppercut: H version deals 1 additional hit (7 hits total). New Super Laser Brothers for the Nintendo Laser. Inflicts a hard knock down on hit. Minimum damage is 70*24 (1,680). If Gotenks is not on his team, Goten will come out to help. If Gotenks is not on his team, and SS Goku is on his team and is not on screen from an assist or Ultimate Z Change, Goku will come out to help. Goku and Goten will have their own hurtboxes before Gohan receives his. If Gohan swaps bodies with Ginyu, he will only ever do the solo version. Gohan fires a giant fullscreen beam can that can punish both the opponent and any assists. The beam's vertical height increases with the number of people who tag in to help him, which depends on team composition. Not often used as a reversal as Medium Jet Uppercut is fully invincible, meterless, and vanish cancelable. Has much better range than his level 1 super, making it vital for ending combos that are out of its range. The hard knock down is great for maintaining offensive momentum, though it is hard to utilize outside of the corner. To edit frame data, edit values in DBFZ/Adult Gohan/Data. Be sure to update both the move and the move Full sections. One is shown on the character page, while the other is shown on the frame data page. This page was last edited on 16 April 2019, at 03:52.